A child-friendly home is a happy home. Injuries, crying, and an overall unpleasant atmosphere can occur when you don’t take proper safety precautions for your little ones. The health and happiness of your child should always be the priority, but making your home child-friendly should also not break the bank. Here are a few things to think about when making your home child-friendly. Did you know that over 300 children a day are treated for burns? Minor burns can irritate the skin and cause painful sensations, while more serious ones may require surgery. The first step in preventing burns is to adopt safe cooking practices. Turn the handles of pots and pans on the stove inward, away from little hands that are constantly grabbing and reaching. Be careful to put away lighters, matches, and other types of fire starting equipment immediately after use. These gates are a great way to prevent accidents or injuries near stairways, kitchen entrances, and fireplaces, to name a few. You can find child gates at many general department stores that are available in varying sizes and styles so you can breathe a little easier when you can’t always be there. When prepping for a child in your home, be mindful of the electrical sockets. Injury or even death by electrocution can result in a child attempting to stick objects into the socket holes. To keep children away from of the dangers of electrical sockets, install electric socket protectors. These prevent your child from sticking fingers or other objects into the socket holes by covering the entire socket with a clear plastic insert. Whether it be a counter edge or a glass table, many people forget that simply putting away knives and tools is not enough to protect your child. Head bumps into a counter’s edge or fire place ledge can lead to bruises, and head injuries. Prevent these types of injuries by securing the sharp edges around your home with edge protectors. Edge protectors act as bumpers and are easily fitted on almost any surface to turn a normally sharp edge, into a more rounded one. 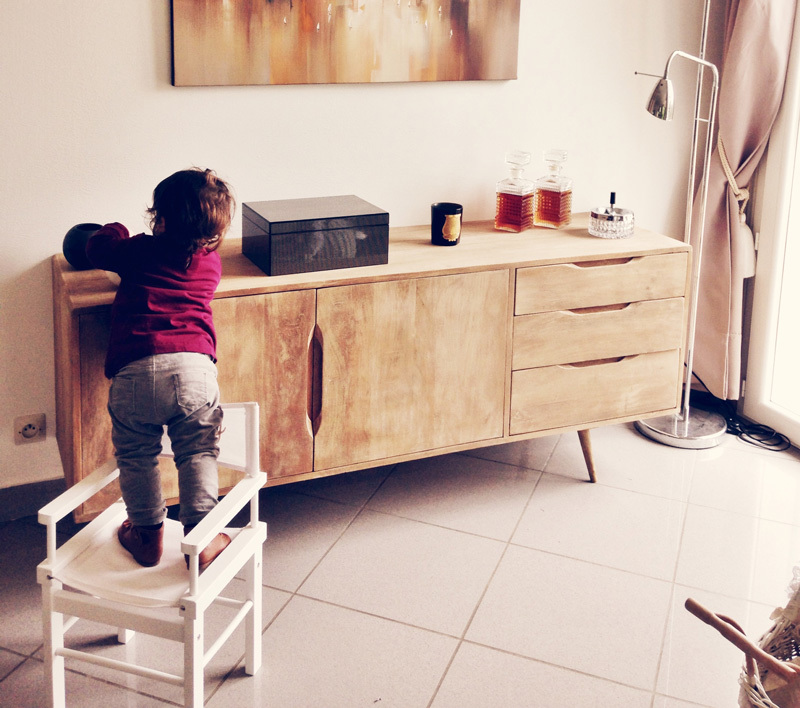 There’s no formal instruction manual on raising kids, but there are a few quick and simple ways you can equip your home to help keep them safe. There are numerous resources available on ways to make your home child-friendly. There are even companies you can hire that dedicated exclusively to making your home as safe as possible for your bundle of joy. The above list does not comprise of all the to-dos before baby, so it’s important to ask questions and research no-so-common safety tips for your home.